Shopworn Books Save up to 50%! Clearance Books Up to 80% off! This is 534-page one-of-a-kind chess book belongs in every serious chess player's library. 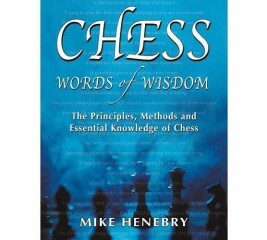 It contains all of the useful, practical, information from over 400 chess books (plus many other sources). It is jam-packed with principles, tips, techniques, tricks, rules-of-thumb, general advice, and chess pearls of wisdom from the Masters. Indeed, Bobby Fischer turned to the Taimanov in the decisive game of his famous match with Boris Spassky. In this book Grandmaster James Plaskett explains the strategy and tactics of this popular variation. 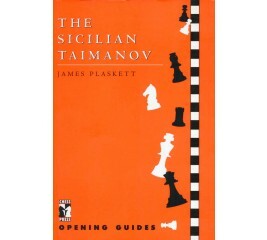 Through the use of model games for both sides, the author provides a thorough grounding in the key ideas, so that readers can quickly and confidently start to use the Sicilian Taimanov in their own games. Choose from a huge selection of chess books, including a wide variety of topics, players and strategies from The House of Staunton. There is a chess book for nearly every chess move or chess defense you can think of. Looking for a chess book talking about a specific chess player? Browse the many different miscellaneous chess books available. Need to strengthen your opening game? Middle game? Or maybe your end game is lacking. There are chess books covering all of these topics and much more. The purpose of a majority of the chess books available is to serve as guides for beginners and advanced chess players alike, and to address different tactics and strategies to help improve your game. There are also biographical chess books that talk about specific Chess Players such as Magnus Carlsen or Vishwanthan Anand if you are interested in reading about a chess player and their life.